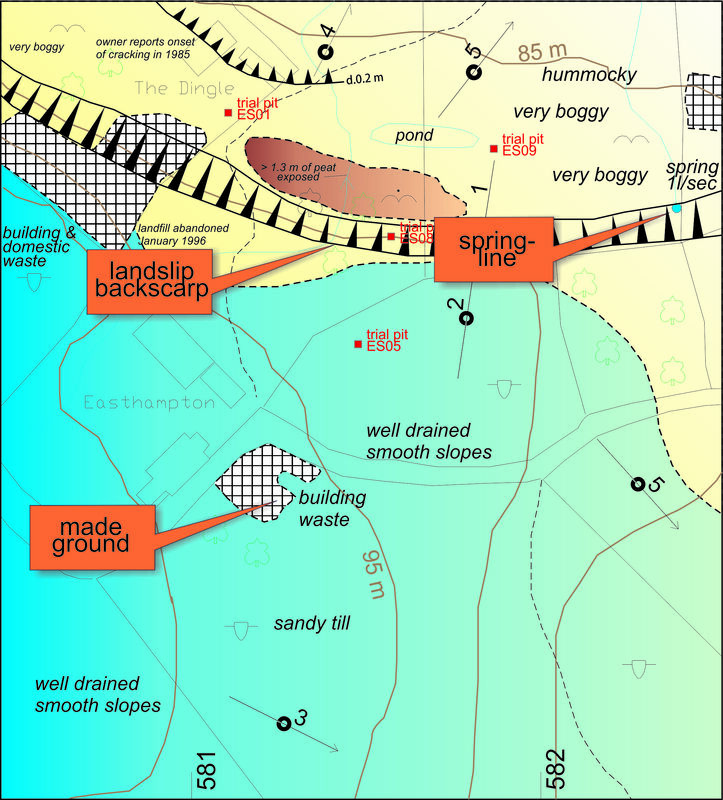 Specialised Geological Mapping Ltd has carried out structural studies and contributed to engineering and pit design studies for major open pit mines. This work typically involves the wire-framing of potential failure planes, such as faults or lithological contacts. The company also has considerable experience in corridor-mapping of solid rock and superficial deposits. These projects have included pipeline, road and power routes. The maps typically show the distribution of solid rock, superficial deposits, compressible soils, landslips, spring lines, swelling clay and other geohazards. Structural studies, including fracture analysis, are also undertaken. The main role of these maps is as an objective basis for more detailed engineering geology studies. Depending on the size and length of the corridor, geological mapping occurs at scales of between 1:500 and 1:10,000. The techniques are the same as those used by the British Geological Survey in their ongoing 1:10,000 solid and drift mapping of the United Kingdom. Vegetation, topographical features, slope angles, drainage and natural and artificial exposures are used to distinguish the different categories of superficial deposit. Auger and trial pitting are also used.